At the 124th annual general meeting of the Colombo Tea Traders Association (CTTA), State Minister of National Policies and Economic Affairs Dr. Harsha De Silva stated that the authorities should take further measures to produce good quality and value added tea to attract global players. 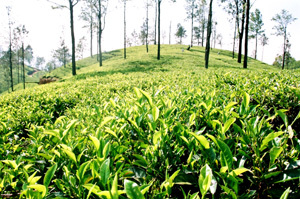 De Silva identified a shortage in production, marketing not being conducted in a methodical manner and focussing on the wrong products as the main obstacles faced by the tea industry. In addition, he highlighted the need to revitalise the industry to compete with other countries. The use of glyphosate was also discussed wherein CTTA Chairman Anselm Perera noted that while the product is used to control weeds when growing tea and commercial crops in most countries, Sri Lanka stood out due to its ban on the product.